In addition to the details above, the game’s official forum offered a helpful FAQ detailing refunds and informing readers that the forums would be closed and archived on December 31st, 2018. 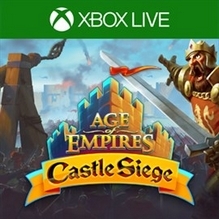 “Age of Empires®: Castle Siege invites you to guide your empire through the Medieval Era on your Windows PC or touch screen device. Choose from one of several civilizations, including the Britons, Teutons, and Kievan Rus. Upgrade your keep, fortify your walls, and garrison defensive troops to protect yourself from marauders. Then, train an army to raid other cities, and command them in battle to dismantle your opponents’ defenses.